50 YEARS AGO - This week in July of 1966, it was too late. 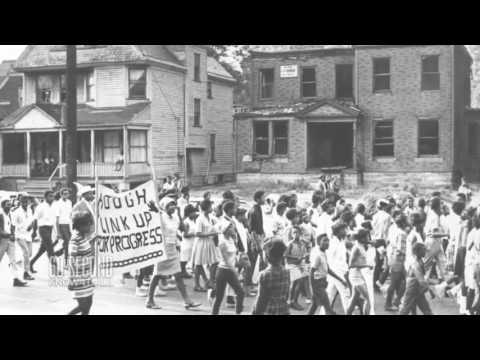 The Hough neighborhood - a prime case study of the kind of demographic changes, economic challenges and official neglect that confronted inner cities across America in the 1960s - had exploded in a devastating race riot. The neighborhood, and its city, would eventually heal, for the most part. But they would never be the same. DAY 2 - A handful of pro-choice advocates demonstrated Tuesday outside a pro-life luncheon at the FirstEnergy Stadium. The demonstrators, from NARAL Pro-Choice and Lady Parts Justice, met attendees of the Ohio Right to Life Luncheon. They sang "Amazing Grace" and repeatedly told the attendees that they were going to be "lied to" inside the stadium. DAY 2 - For the rest of the week temperatures are really heating up, especially after Wednesday, and things are going to be pretty dry. Make sure to have some sun glasses and sunscreen, and plenty of water. DAY 2 - Activists demonstrating against fracking and immigration injustice hang a huge banner on two flagpoles outside Rock and Roll Hall of Fame. A huge banner was hung between two flagpoles early this morning at the Rock and Roll Hall of Fame and Museum, requiring use of of a Cleveland fire department ladder truck to bring it down. MAKE AMERICA SAFE AGAIN DAY 1 - Jason Beardsley serves as Special Operations Advisor for Concerned Veterans for America and is the co-founder and CEO of The Underground Movement, a company that designs custom graphic t-shirts inspired by well-known and forgotten American heroes. Jason is a decorated military veteran with a combined 22 years of experience in the Army and Navy. MAKE AMERICA SAFE AGAIN DAY 1 - Sen. Joni Ernst, an Iowa Republican who rose to fame by castrating hogs and promising to do the same in Washington. (It’s unclear if she has.) told the RNC "Hillary Clinton cannot be trusted. Her judgment and character are not suited to be sitting in the most powerful office in the world," said Sen. Joni Ernst, R-Iowa. 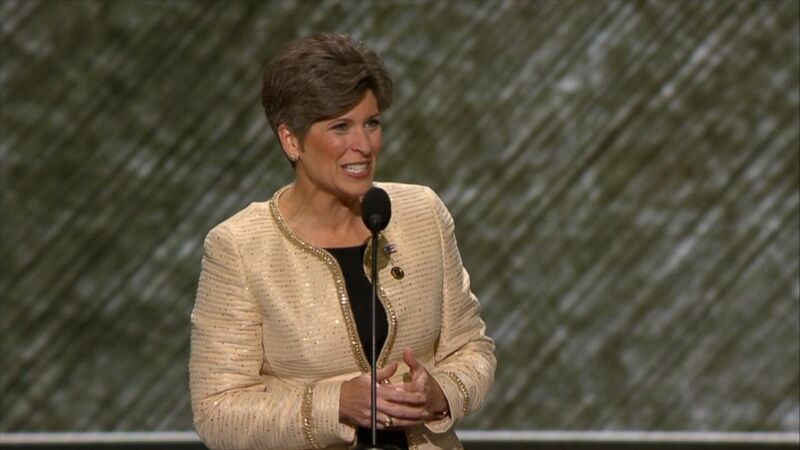 Ernst is one of the Republican Party's rising stars, but the speaking schedule had her appearing late in the night before a nearly empty hall. MAKE AMERICA SAFE AGAIN DAY 1 - Retired Lt. Gen. Michael Flynn did not hold back his attacks against Hillary Clinton Monday night from the GOP convention floor. 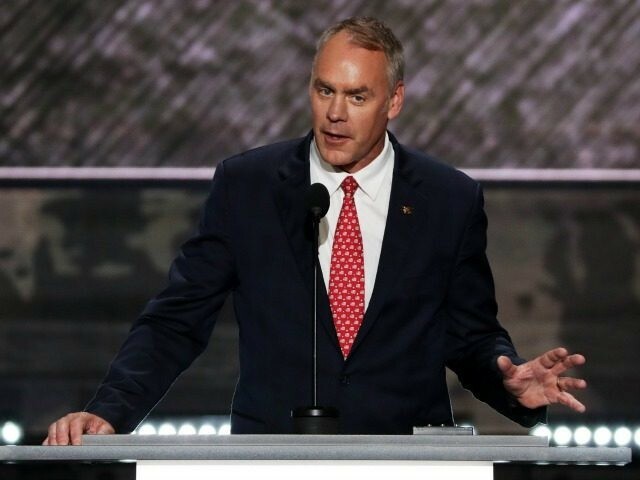 As he spoke from the GOP convention podium and suggested that the former secretary of state should be in jail. Many in the Quicken Loans Arena left following Melania Trump’s own speech to those at the convention prior to Flynn’s address.